WOW, I cannot believe how long it has been since I wrote a post! The last few months have been beyond crazy at our house. Mr. Hubs had a major medical situation which has settled down for the most part now but kept us running to doctors, specialists, and testing procedures for a few months. I was able to work through most of the days but free time for blogging and creating was lost in the wind. We also grew from a house of 5 to a house of 8 when my daughter moved back home with her two little boys. Busy! Busy! Busy! I have spent a lot of time researching how to effectively use the RTI process for students with behavioral needs. I think RTI is effective for subject areas such as Language Arts, Writing and Math. However, when it comes to behavioral concerns it becomes more vague. I think the key is to prioritize the behavioral needs. What is the one thing you would like to focus on first? Write a measurable goal for a specific time of day. Targeting the entire day and collecting useful measurable data is next to impossible. Make sure that your goal is measurable. For example, you can't really measure listening but you can measure a student's ability to carry out a verbal directive. I will be posting more about this soon with some examples of measurable goals. I will also post the data sheet I use to collect measurable data. I Made Something New! Can You Believe it!?! 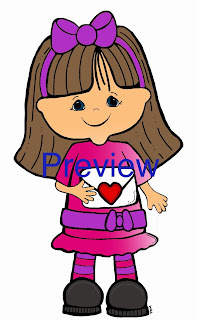 I did a little drawing yesterday and started a set of February clip art. Here is a little preview of one of the files. I also actually made a new set of calendar numbers using my snowman clip art. You can practice patterning as well using the frames ABBC pattern. 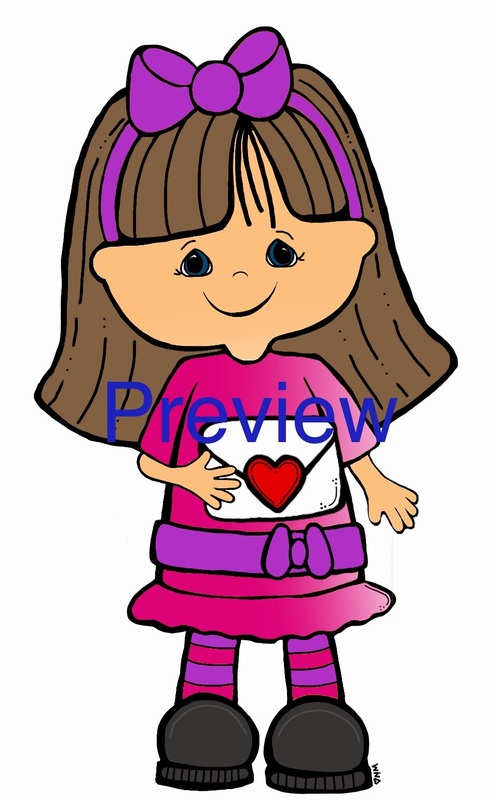 It is free in my TPT store. 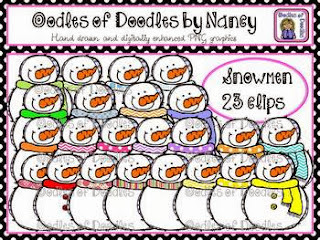 This is the clip art set I used to create the calendar numbers. It is currently 30% off in my TPT store. My monthly January homework packet is also available in my TPT store. 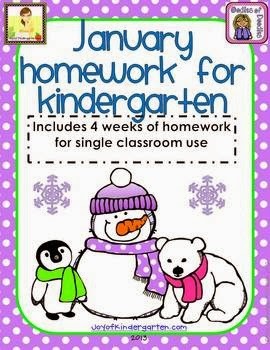 It includes 4 weeks of Kindergarten homework. Your calendar cards are adorable! Thank you!